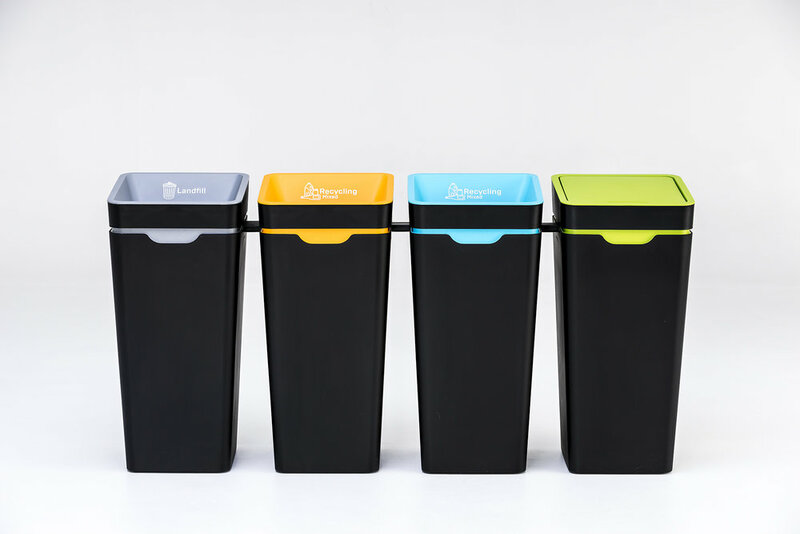 Method sought to create a recycling system to encourage a waste conscious culture in the modern office environment. Studio Cassells was contracted to research, and explore the needs of the various stakeholders; the results from which determined the key values and needs of each user group that came in contact with the system. From this research, Studio Cassells developed the Method recycling system and proposed an implementation and information strategy to help workplaces introduce the system to employees and encourage behavioral change in their workplace culture. Development of the Method bin aesthetic was driven by a trend study of office architecture, interiors and products - identifying a new palette and form to help the product fit seamlessly into the most modern office interiors.